Alzheimer’s disease is responsible for damaging the brain. Also, due to this loss of memory takes place. The memory loss is too much that you hardly remember your daily activities. If the disease is not treated in initial stages it can get severe as the time passes. Some people may start forgetting the activities that occur daily. However, others can do well even in the later stages. It depends on the person to person. Normal memory loss is pretty obvious in old people. They have a habit of forgetting so that does not mean they are suffering from Alzheimer’s. But if you are facing bad memory loss then consult the doctor soon. 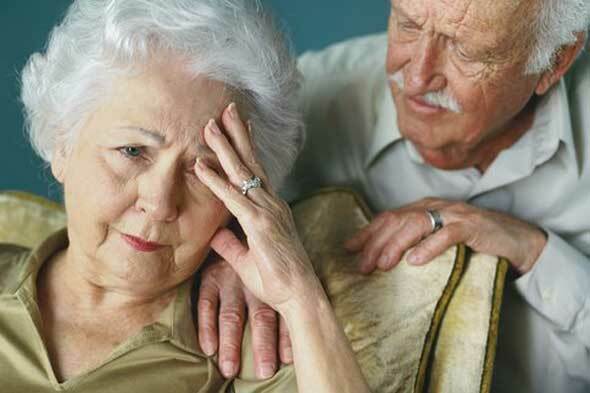 If you are suffering from Alzheimer’s then you should seek an effective treatment. If you have family history then there is a chance that you might develop Alzheimer’s disease. The genes responsible for causing AD are APOE epsilon 4 allele. If you have high blood pressure problem then you are at high risk of getting AD. The two types of AD are: Early onset and late onset Alzheimer’s disease. In early onset symptoms are observed before 60. This is observed very rarely as compared to late onset. This is observed in family histories. There are several genes that cause AD. Late onset AD is most commonly observed type of Alzheimer’s. The genes play very less role in it. Plaques are the bunch of proteins that are responsible for damaging the brain cells in different ways. They disturb the communication between the cells and thus prevent them from functioning. 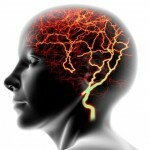 The brain cells depend on other factors for nutrients and they get it through long extensions. This requires proteins called as tau. The threads of tau get twisted and form tangles in the cells of the brain which leads damage of the carrier system of the brain cells. The failure of working can even cause the death of the cells. They cannot perform two tasks at a time, faces difficulty in solving problems, keep forgetting recent occasions and moments and takes maximum time to perform difficult activities. Also, the people suffering from AD experiences problem in remembering daily travelling routes,misplacing the items and sudden change in personality is also observed. Those people with severe AD cannot understand language; they fail to recognize their family and friends; forget to perform daily activities like eating, bathing and dressing. If you think you are facing the early symptoms of the disease then do the necessary test for the identification of AD. The skilled and professional doctors can diagnose the disease with the help of following methods. First the entire physical exam is necessary which includes neurological tests as well. Lab tests are done to check out the levels of chemicals in blood, nutritional deficiency, unbalanced level of thyroid and liver disease. Different blood tests are done and that includes liver functioning tests, blood count tests, folate test, blood glucose level test and thyroid function tests. 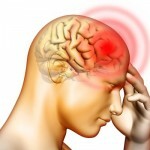 Imaging tests are also carried out such as CT scan and MRI test for head. 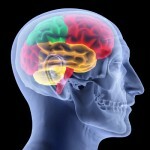 The tests that explain the state of brain are done to understand the state of the brain. Whenever the symptoms are observed it is necessary to stop the symptoms before the conditions become worse. The drugs that can treat AD includes: galantamine, donepezil, rivastigmine. However there are certain side effects of these drugs such as diarrhoea, cramp in muscles, fatigue and upset stomach. Some other drugs might be needed to control the aggressiveness and dangerous behaviours and they are risperidone, haloperidol and quetiapine. Regular exercises are very essential to improve the mood and to maintain the healthy state of the body. A diet full of nutrients and fruits are good for health, it can protect your cognitive health. Food stuffs that contain Omega 3 fatty acids are good to prevent Alzheimer’s disease. There are no such confirmed ways through which AD can be prevented but if you incorporate some practices in your daily routines it can definitely help you to deal with it. Take proper medications prescribed by the doctors. East fish in cold water like tuna, mackerel and salmon. Cut down the consumption of linoleic acid those are observed in butter, some dairy products and margarine. Try consuming more antioxidants such as vitamin E and C, carotenoids by having green vegetables and fruits. Maintain the level of blood pressure. The warning sign that are observed in patients are memory loss, experiencing problem in conversations, poor decisions, low thinking capacity and mood swings. Ask your doctor about the symptoms and the severity of the disease. Do the tests prescribed by the doctors for the confirmation of the AD. If he results come out to be positive then follow the necessary treatments to get it cured. Ask him about the memory loss problems and treat it with effective medicines. Also tell him the entire history and background so that he could get the better idea about you. Also, tell him to recommend the medicines that you are not allergic to. Make your simple daily schedule and don’t include difficult activities that will increase your pressure. Take your time to complete the tasks and don’t think about people. Take it positively and don’t get depressed. Allow your closed ones to help you. If you cannot dress up properly, ask for help. They can help you in a better way. Try to reduce the distractions while working. If you are doing some works then don’t lose focus; first try to complete that work. Avoid multi-tasking to avoid complications.